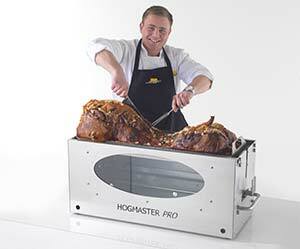 Hog Roast Machines are known for hiring out and selling our own range of excellent quality, durable, stainless steel hog roast machines. 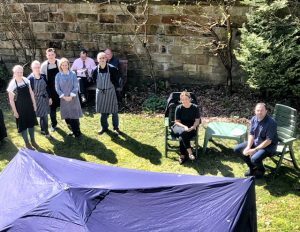 However, we have even more strings to our bow, including business support for people who are starting up their own hog roast catering companies. We can train you and your employees to do just what we do, from selecting the right machine for what you want to do with it, using that equipment and knowing all about its workings, to showing you how we roast a hog to perfection or even how to use the machine to cook all sorts of other food, too. We think of it as more a partnership between Hog Roast Machines and yourselves, as we can help you with the entire process of starting up your own catering company, as we’ve been there and done that! You may want advice on attracting customers, the size of your potential business, the kind of premises needed and much more, and we have a wealth of experience to draw on to help you. An excellent way to do so is by attending a full day’s training course, where we teach you all about this kind of catering business, prepare and cook a pig with you, prepare accompanying salads and potatoes and then we even stage a mock event where you serve the food. 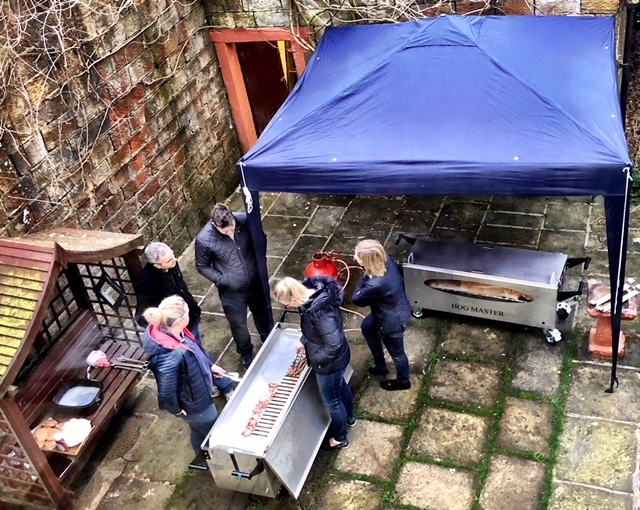 We recently held a training day at The Hogmaster’s Head Office in Burnley, where The Rolling Pig from Northumberland came along to do just that with our MD, Stephen Marsden. The Rolling Pig has their own farm where they breed pigs and they are currently going through long evenings due to the lambing season too, so staying in a hotel the night before the training day meant a good sleep for them (even though they started at 5am the next day!) The Rolling Pig is looking to expand on their pig breeding when they start hog roasting themselves but before they do that, they wanted a full day with our expert Stephen so he could pass on his extensive knowledge and years of experience. At 5am, when it was still pitch black outside, The Rolling Pig arrived at our Head Office to start prepping and cooking the pig ready for a 1pm serve time. 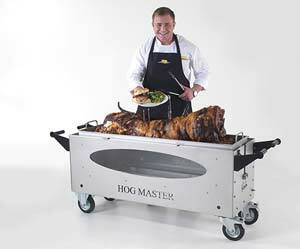 They would be using the Hogmaster that they had bought from us to roast the hog, and we introduced them to it properly with how to use it; it’s actually much easier than you might think. We then showed them how to prepare a hog by first scoring the meat and then covering it with water and massaging in plenty of salt. The latter ensures plenty of salty, crispy crackling is produced when cooking. The Hogmaster was then turned on to start slowly but surely roasting the hog for a few hours so that it would be ready for lunchtime. While the beast was sizzling away in its own juices, it was breakfast time for everyone, so we showed The Rolling Pig how to cook bacon and sausages using the barbecue tray in their new machine. Our equipment is so versatile that you can even cook pizzas in them, or cook veggies and potatoes at the same time as the meat is roasting. Once we’d had a break and devoured the meaty butties, we got back to work, but this time we went indoors to prep the salads and potatoes. The Rolling Pig got busy grating and chopping and we showed them that’s it all about the presentation, as well as using fresh, quality ingredients. Next, we showed The Rolling Pig how we set up our equipment at a venue, with a gazebo and serving tables underneath, which we covered with fresh, clean, white cloths. The hog was still sizzling away while we cooked new potatoes and added plenty of butter and herbs, and then we made the stuffing inside the machine, packed in underneath and all around the hog. Once the pig had cooked beautifully both inside and out, it was time to carve o ff chunks of crackling and meat to fill trays and we cut the pork into smaller pieces on the chopping board. By the time of service, it had turned into a beautifully sunny day – perfect for a hog roast to be enjoyed in the garden! 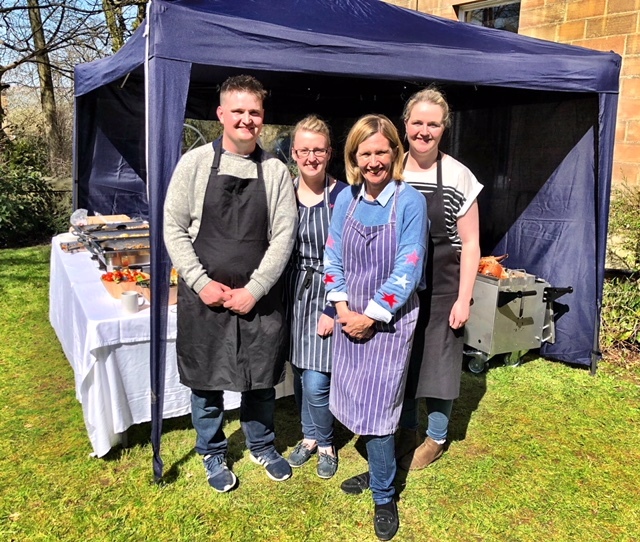 After first serving others to some tasty meat, crackling, fresh bread rolls and wraps, new potatoes, salad, stuffing and apple sauce, the team from The Rolling Pig dug in too. It was clear that they loved the taste of the food they had lovingly prepared and cooked themselves. There was one last thing to do at our Hog Roast Machines Head Office after clearing away and that was clean the hog roast machine, and then it was time for The Rolling Pig to stop off at our factory in Clitheroe to see all the hog roast machines that we produce, before finally heading home. 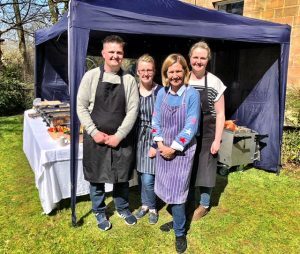 The Rolling Pig are going on to practice events with family and friends before heading to a local farmers market a few times as extra practice and they are keen to get involved in wedding catering, so look out for them in Northumberland in the near future. Machines Suited For Any Style And Size Of Event!